It’s hard to believe that Valentine’s Day is just around the corner! I’m planning a few surprises for my family— I’ve got my daughter covered with an adorable spa day themed gift basket, and my husband is getting a special dinner with RumChata chocolate pudding for dessert … it’s going to be amazing! Since I love the holiday so much, I thought I would make a few extra Valentine’s Day treats to share with friends and family. I wanted to make something useful and unique, and finally settled on white chocolate spoons for use in coffee or hot chocolate. 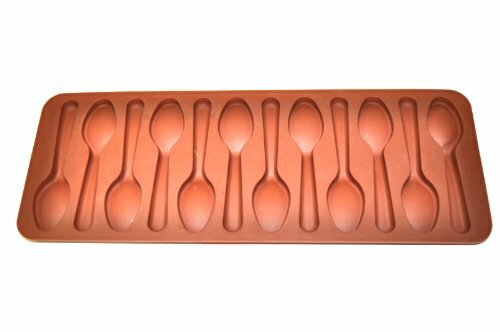 I’ve seen these chocolate spoons at high-end confectioneries and was always intrigued by how they were made. 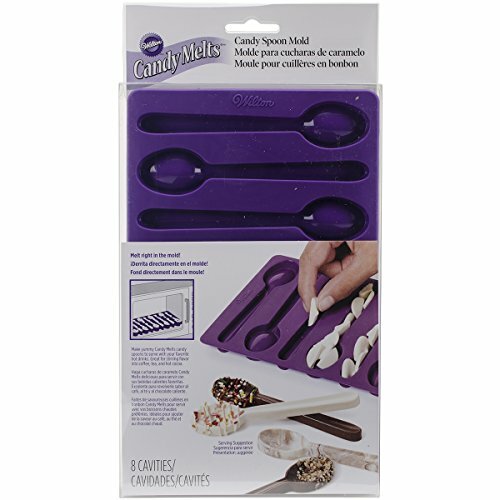 Come to find out, Wilton offers a spoon candy mold that makes these chocolate spoons ridiculously easy to prepare. 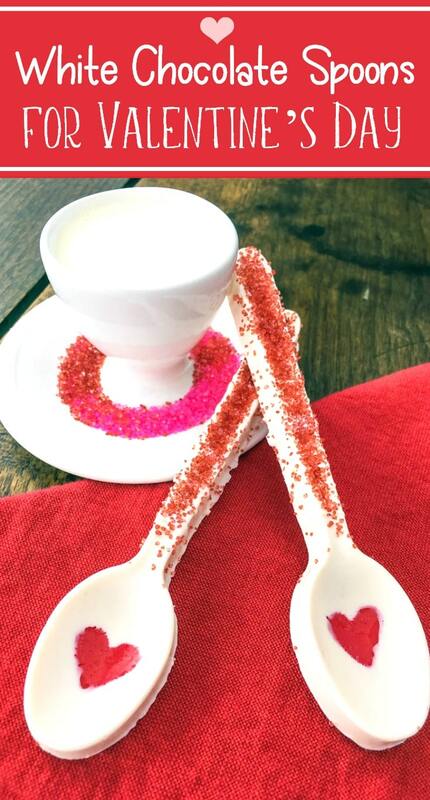 All you need is the spoon mold, white chocolate candy melts, fondant and sprinkles! 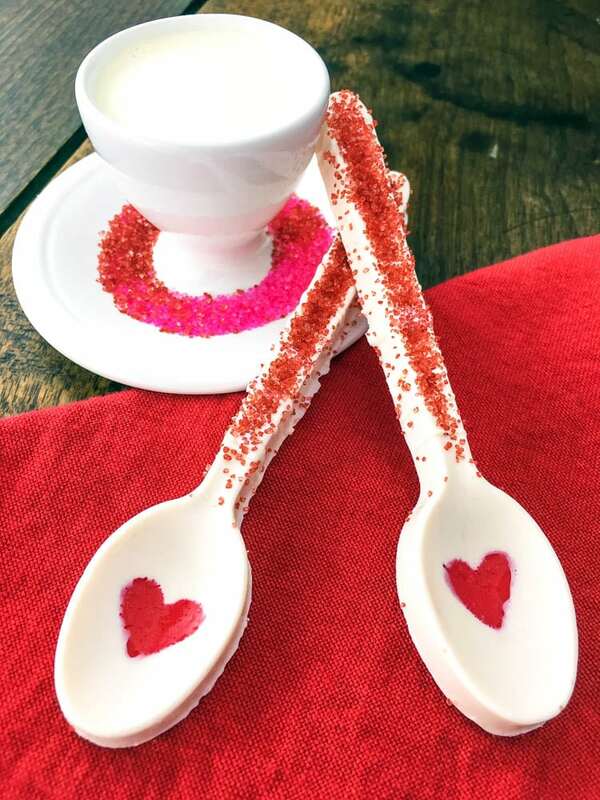 The red fondant heart is optional, but I think it makes the candy spoons POP! 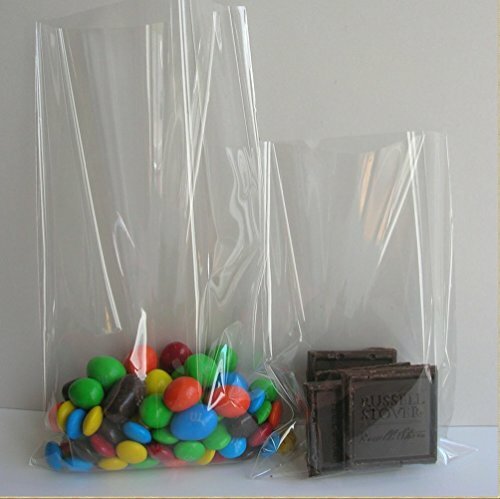 To share, simply secure each chocolate spoon in a cellophane bag — they make great gifts! 1. A Candy Melt Pot is recommended to heat candy melts. 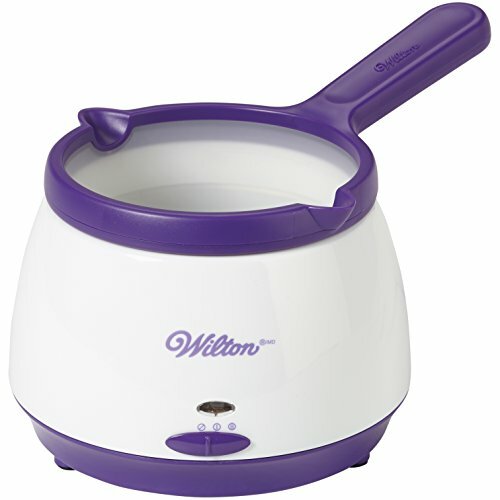 If you do not own a candy melt pot simply microwave candy melts at 50% for 30 seconds. Stir. Heat at 50% for 30 seconds. Stir. Heat at 50% in 15-second intervals and stir until completely smooth. Do not overheat. 2. 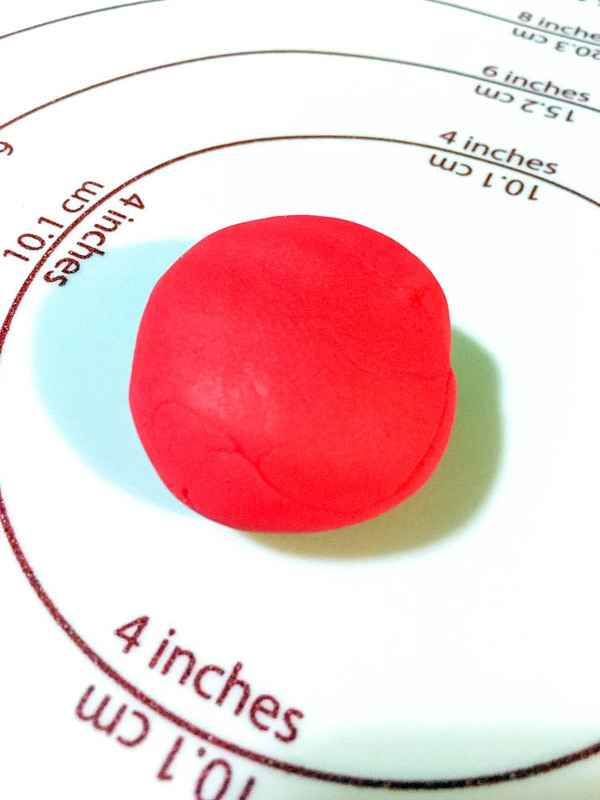 Knead red fondant into a ball. 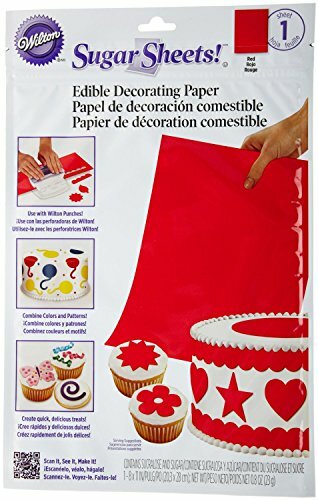 Using fondant roller, flatten fondant into a thin layer. 3. 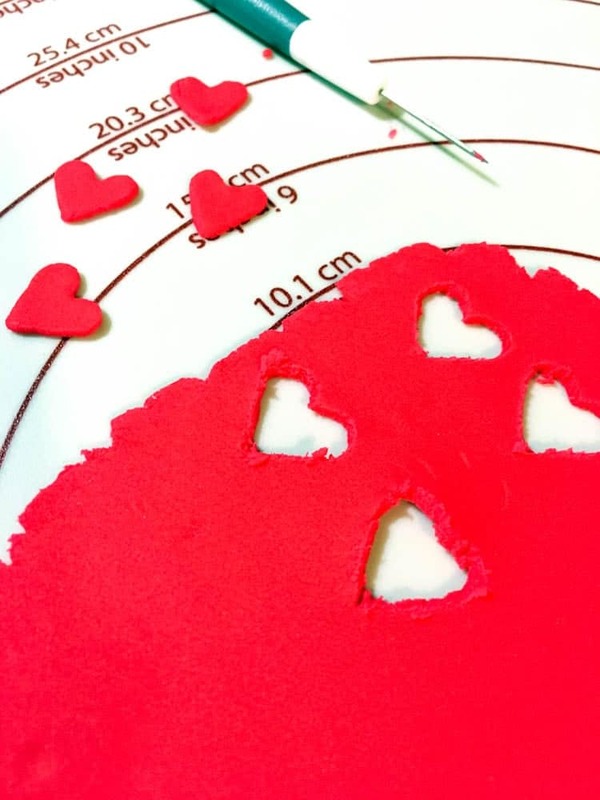 Carefully cut 8 hearts (approximately 1 inch tall) from the layer with fondant knife. 4. 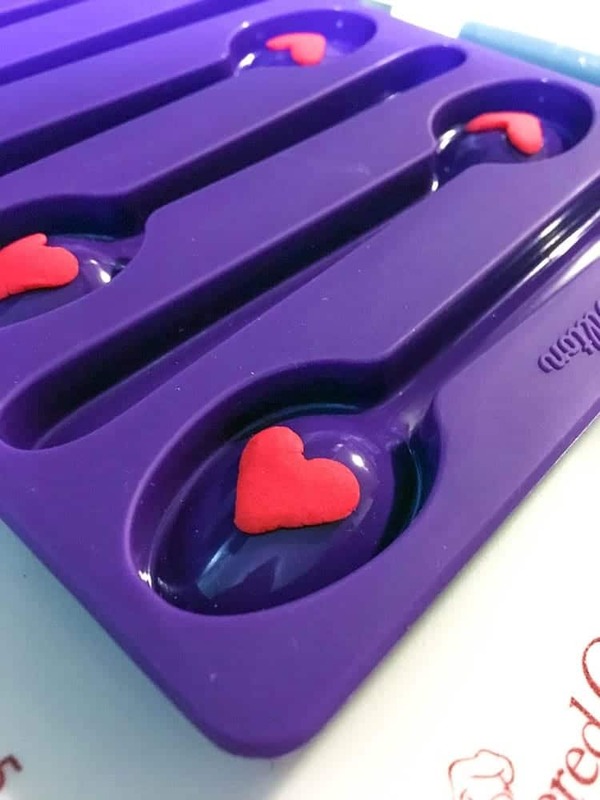 Gently press fondant hearts into the bottom of each spoon. Make sure they are secure before moving to next step. 5. Pour white candy melts into the mold, filling each spoon cavity to the top. Place in freezer for 20 minutes. 6. Remove mold from freezer. Carefully pop spoons from the mold, lifting at both sides to avoid breakage. 7. 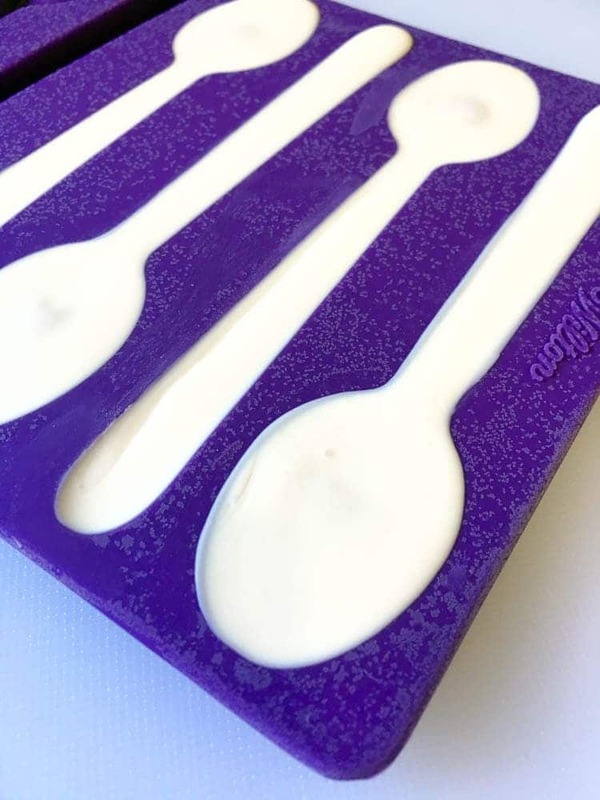 Using a small spoon, drizzle white candy melt along spoon handles. Quickly dust red sugar sprinkles over handles. Place in freezer for 10 minutes. 8. 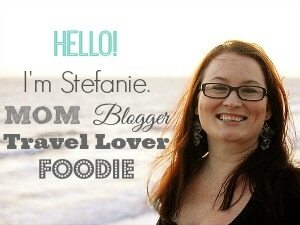 Remove from freezer and serve with hot chocolate, dessert, or alone! Knead red fondant into a ball. Using fondant roller, flatten fondant into thin layer. Carefully cut 8 hearts (approximately 1 inch tall) from layer with fondant knife. 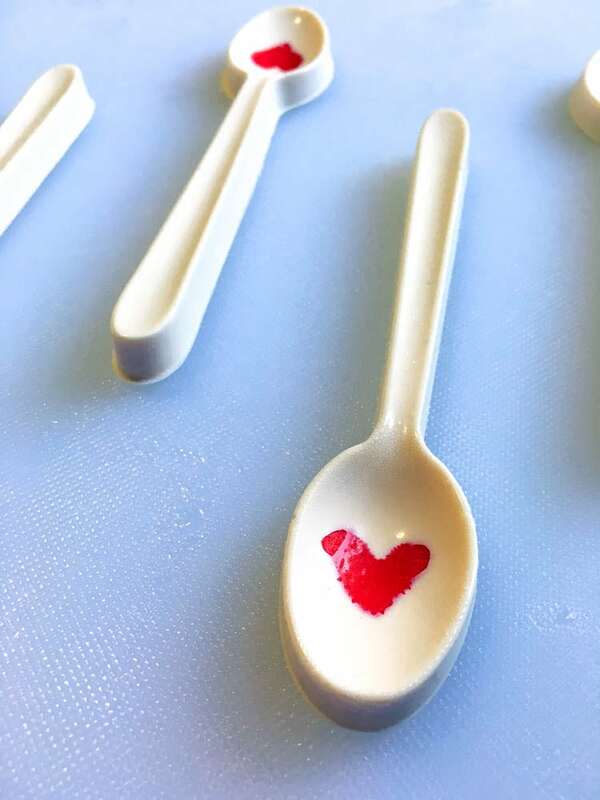 Gently press fondant hearts into the bottom of each spoon. Make sure they are secure before moving to next step. 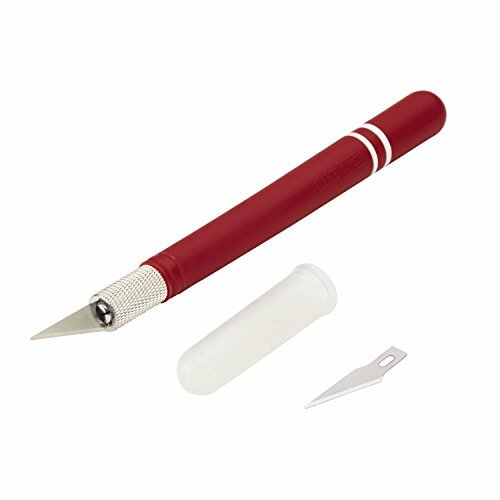 Pour white candy melts into mold, filling each spoon cavity to the top. Place in freezer for 20 minutes. 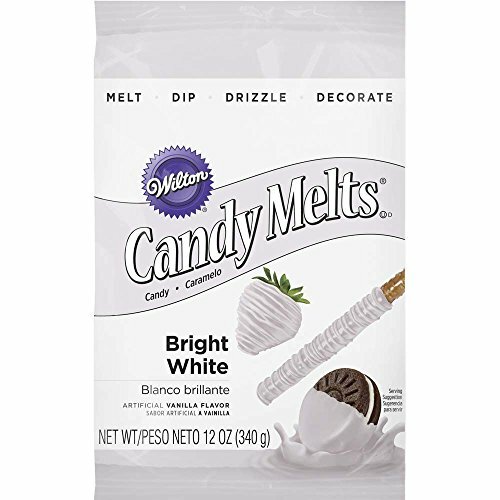 Using a small spoon, drizzle white candy melt along spoon handles. Quickly dust red sugar sprinkles over handles. Place in freezer for 10 minutes. Remove from freezer and serve with hot chocolate, dessert, or alone!